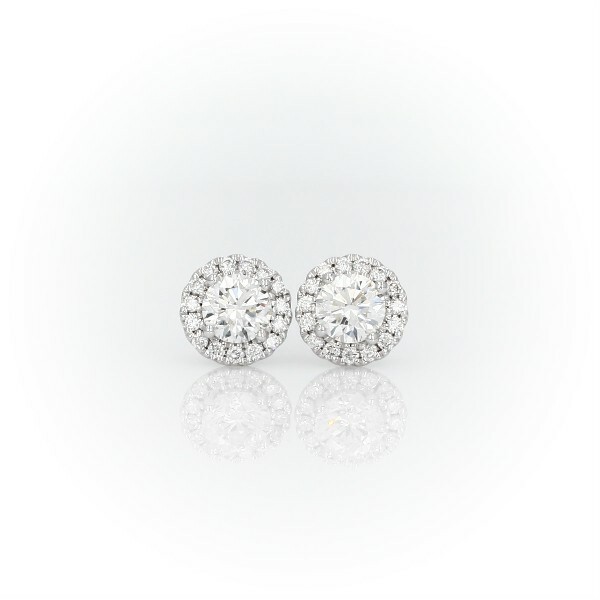 A style with incredible staying power, you can't go wrong with diamond halo stud earrings. Finely crafted in 14k white gold, each earring has a brilliant-cut 0.40 center diamond surrounded in a beautiful, sparkling halo. These are the perfect-sized earrings for everyday wear.